The charming town of Clanton sits 52 miles south of Birmingham, Alabama. It was initially founded in 1868 and became known as “Goose Pond” by locals. In later years it was renamed after Confederate Brigadier James H. Clanton. The town has a rich history, it was home to a prisoner of war camp during World War II and constructed two of Alabama’s first dams which increased the region’s economy significantly. However, in recent years these factors have been overshadowed by Clanton’s burgeoning peach industry, which is evident if you travel through, or spend time in the city. With a multitude of farms, parks, markets and vineyards in the local area, it’s easy to see why Clanton, Alabama is a popular stop-off point for tourists to the state. 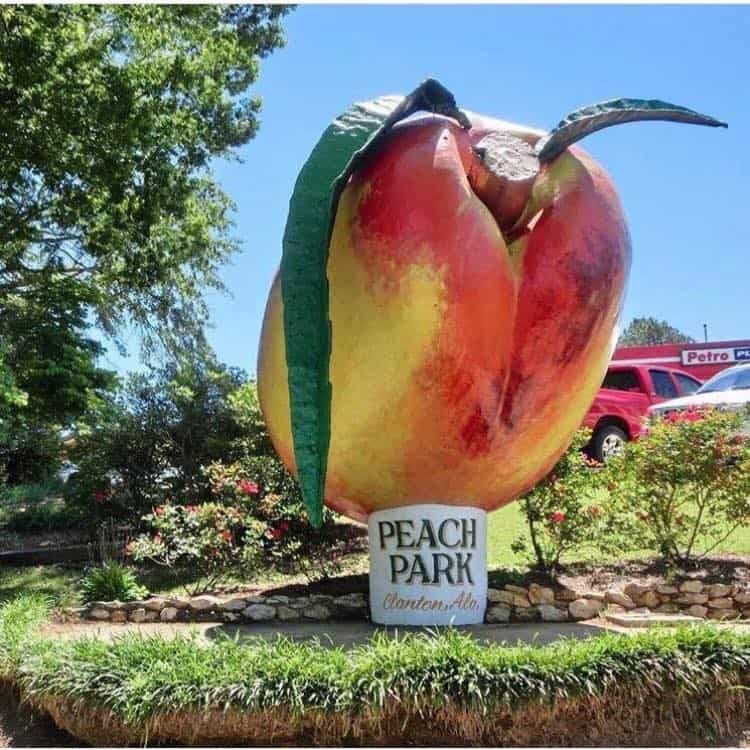 Peach Park was established in 1984 as a roadside fruit stand which would sell fresh, ripe peaches to passers-by on the I-65. When the stand expanded, the owners developed a homemade peach flavoured ice cream which is now renowned throughout the state. The Peach Park you see today is unrecognisable from its humble beginnings as a roadside stand. It has grown to encompass a barbeque restaurant, a gift shop and has seven acres of picturesque gardens with a lighthouse fountain. However, the piece de resistance of Peach Park is perhaps its bakery which sells delicious homemade peach cobblers and cakes. If you hadn’t already gathered, Clanton, Alabama is famous for its deliciously plump peaches. The town is proud of its peachy heritage and to celebrate, it constructed a giant peach tower on the edge of the roadside for all to see! 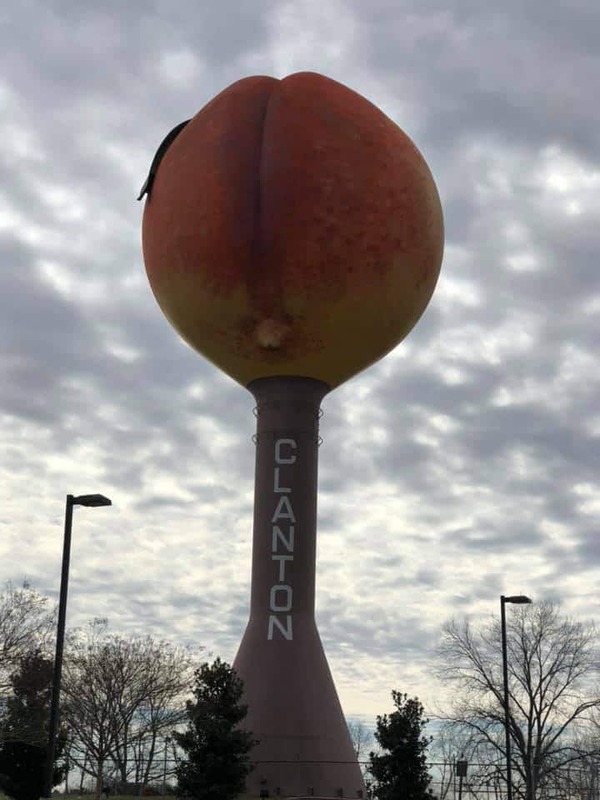 It’s only one of two similar peach-themed towers in the United States, and well worth a photo opportunity if you are in town. If you stop for a break and selfie during peak peach season you can even sample a delicious piece of fruit or some homemade peach ice cream. Just off the I-65 south of Clanton is Durbin Farms Market where their tagline is “Life’s a Peach”! They have been serving citizens of Clanton and beyond since the 1930s, with delicious sweet treats such as Apple Butter Syrup, Cinnamon Pecan Bread and Peach Preserve. It’s a great place to stop for a bite to eat if you are visiting Clanton or passing through, as they also have over 20 flavours of mouth-watering homemade ice cream to sample. 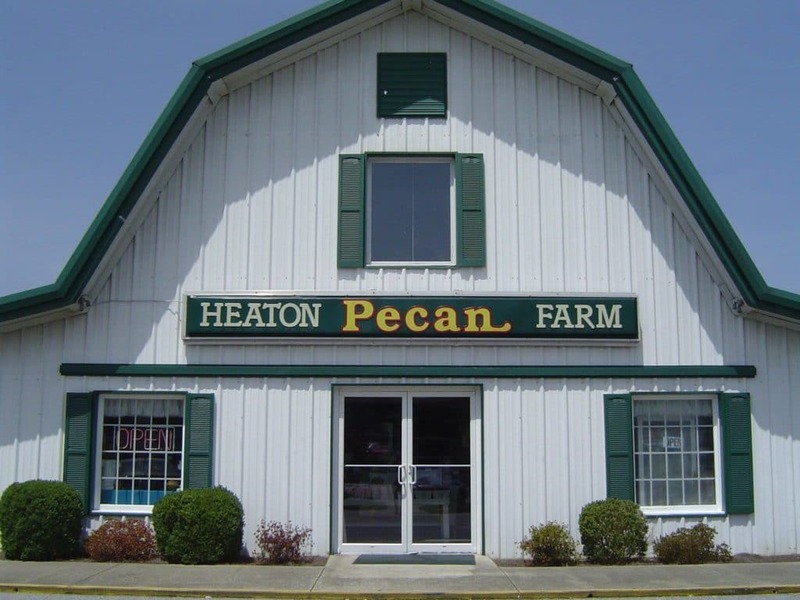 If you want a change from peaches, why not head for Heaton Pecan Farm in Clanton. With pecan themed gifts galore, you can purchase them in tins, boxes or gift-wrapped packages. Whether you fancy a box of praline clusters, some Billionaires, chocolate covered, roasted or salted pecans you’ll find them all here. The best news is, they will ship them home for you too, so you don’t exceed your baggage allowance on your flight! They also have a café serving delectable dishes such as pecan chicken salad or homemade ice cream, so you can stop for a bite to eat after shopping. If you love wandering around antique shops or adore the old-world look of shabby chic style furniture, you will relish a trip to Rustique Relics in Clanton. They have over 60 vendors selling everything from architectural pieces to signs, glassware and handmade items. So, if you are after a special gift for a friend or loved one, or simply want to purchase a souvenir of your Alabama trip, this place may have what you’re looking for. R.W Blackwood and Bill Lyles were members of the Blackwood Brothers Quartet, formed in 1934 during the Great Depression. They gained popularity throughout the USA for their southern gospel sound, and soon began to travel via private plane due to high performance demands. In June 1954 they were scheduled to play at the annual Peach Festival at Chilton County Airport. Unfortunately, during a routine flight prior to the event their Beechcraft Model 18 plane crashed and both members of the quartet plus a local man and friend of the group Johnny Ogburn Jr perished. Their funeral was attended by the survivors of the crash and a young Elvis Presley. If you are a fan of the quartet, past or present, you can visit the memorial erected in their memory as it stands proudly at Chilton County Airport. 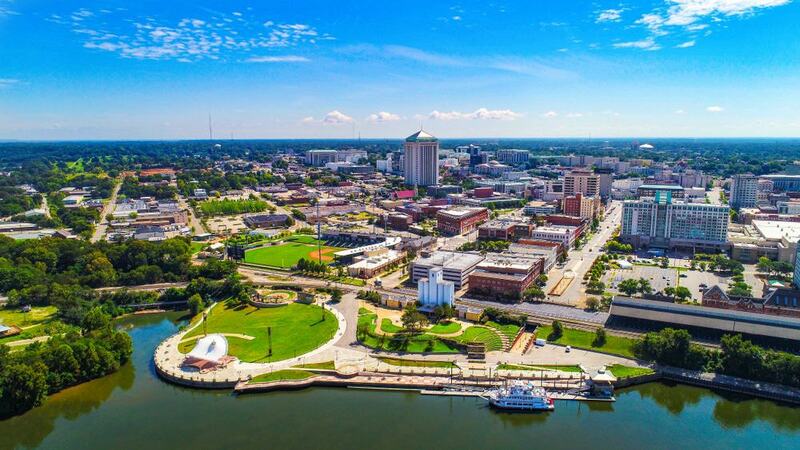 If you wish to explore the attractions of a big city during your Alabama stay, Montgomery is just over half an hour’s drive away. This city is the birthplace of the Civil Rights Movement, and around every corner you can see where life-changing events took place. You can visit the Rosa Parks Library and Museum, stand on the steps of the Capitol Building where Martin Luther King Jr gave his rousing speech after the Selma to Montgomery march in 1965, visit the former home of F. Scott and Zelda Fitzgerald or mingle with jazz and blues fans at an underground club! If you are travelling via motorcycle or enjoy the thrill of an ATV/off-road trail, Minooka Park is the place to be. They have miles of dedicated tracks with awe-inspiring scenery, plus hiking trails, fishing areas and an abundance of wildlife. Whether you wish to spend a fun day off-roading with friends, or just want to kick back and relax with a picnic by the lake, you can do it all at Minooka Park. 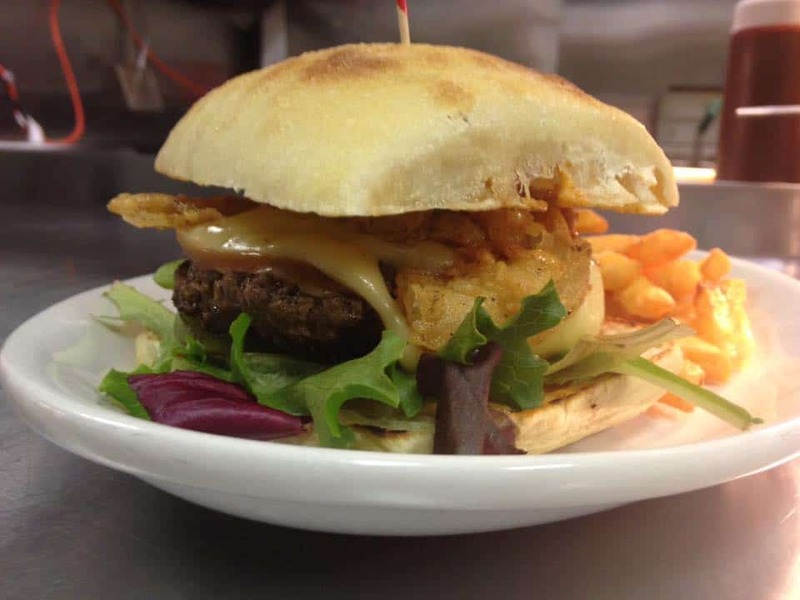 If you’re out sightseeing and fancy a bite to eat either during the day or in the evenings, head for Neighbourhood Grill in Clanton. At lunchtimes this laid-back restaurant offers a range of soups, salads, burgers and sandwiches to fill you up, and in the evenings a more extensive menu is on offer with chicken, burgers, pasta, steaks and seafood. The prices are reasonable, and the atmosphere friendly, so if you’re staying in Clanton pop in for some good ole’ fashioned southern hospitality and plates of delicious food. 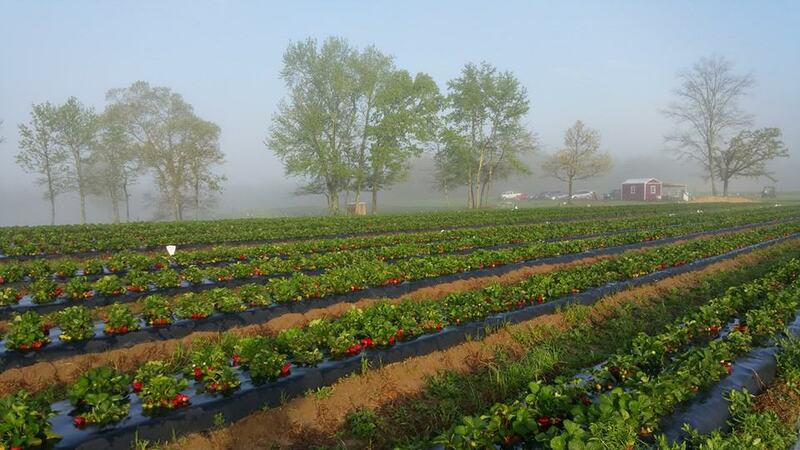 Located on Penton Farms, Sugar Hill U-Pick is a picturesque piece of land where you can pick your own succulent strawberries in spring and summer or visit the pumpkin patch in the fall. There are plenty of activities for children to enjoy, and on the farm itself they have over 6,000 peach trees, 500 acres of cattle and 10 acres of vegetables! It’s a fun day out for all the family, so if you seek fresh fruit for a snack or salad, or a pumpkin to make a pie, don’t forget to pop in. 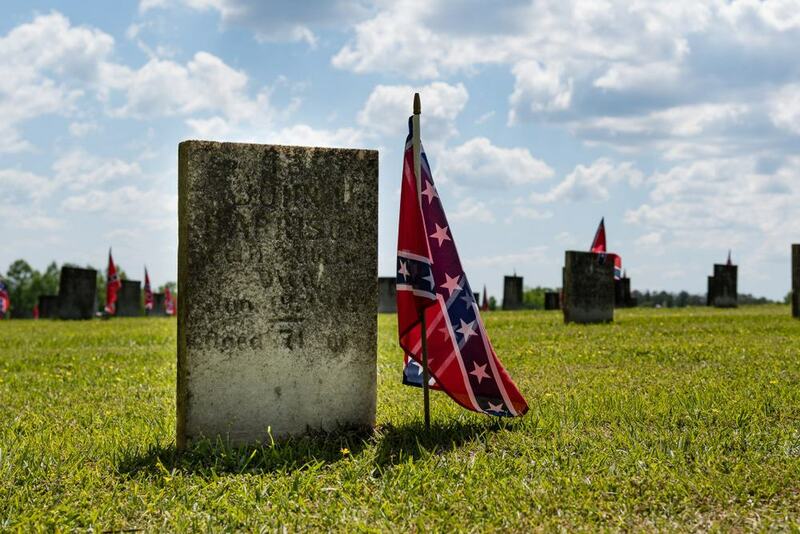 If you take an interest in American Civil War history you can visit Confederate Memorial Park in Marbury, Alabama. Visitors can experience the site’s museum and memorials of soldiers who lived at the Confederate soldier’s home based on this land. Throughout the year, lively re-enactments and outdoor events take place in the park, so remember to check what’s on before your trip so you don’t miss out. 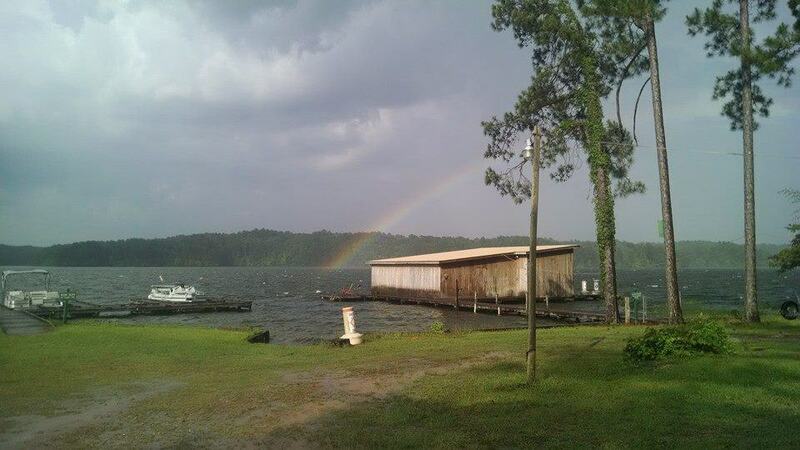 This pretty country park encompasses 5850-acres of land by the Coosa River. It’s a popular area for recreational sport such as fishing and boating, and it boasts a well-known swimming hole used by locals. Anglers come here in their droves to catch themselves some catfish, bass or crappie and tourists in RV’s or with camping gear find it a peaceful place to set up for a few nights. Whether you wish to walk, swim, fish or enjoy a cook-out with family and friends, you can do it all at this scenic park close to Clanton. 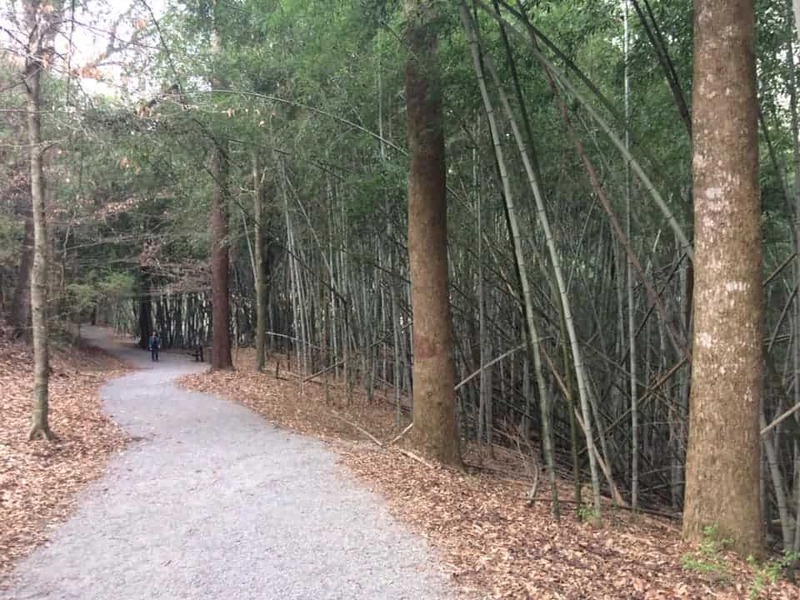 Around 30 minutes south of Clanton lies Wilderness Park and Bamboo Forest. It’s a fascinating area to visit, mainly because its different to all the other forests in the region. The towering bamboo grows to around 60-feet-tall, and bends into a canopy creating a cathedral-shaped arch to walk beneath. In addition, this park also contains the second largest Beech tree in Alabama! It’s the perfect place to take a leisurely stroll admiring flora and fauna while marvelling at this unusual piece of parkland on the edge of Prattville. 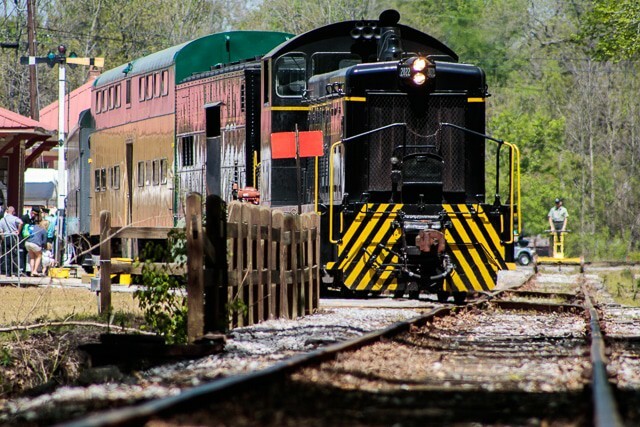 Heart of Dixie Railroad Museum is a must-see for locomotive enthusiasts. With a selection of cars, carriages and locomotives dating between the 19th century and 1950s, it’s a great place to learn about train travel in the region in years gone by. The interesting museum showcases items such as rail cross sections, timetables, maps and old-fashioned railway lanterns. 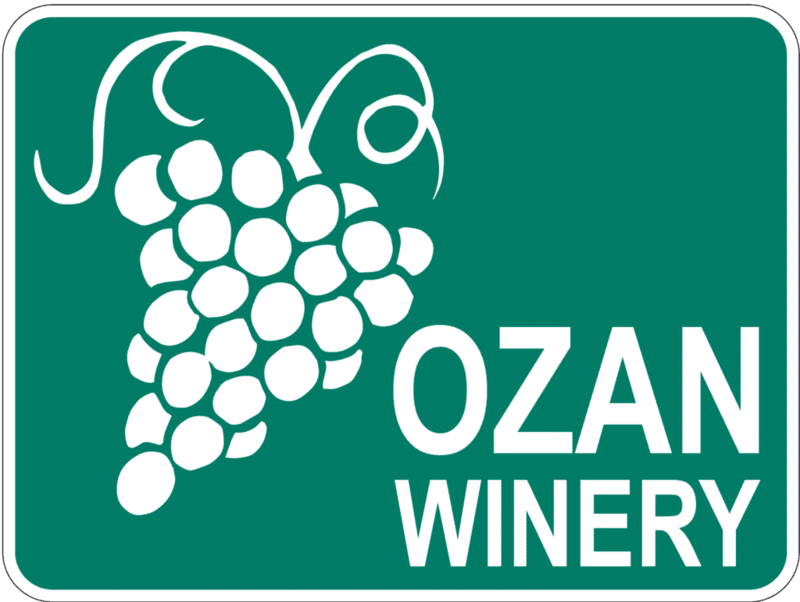 Ozan Winery and Vineyard can be reached from the Heart of Dixie Railroad Museum in Calera via the heritage train excursion. The award-winning winery and vineyard offer a whole host of excursions to entice wine connoisseurs following the Alabama Wine Trail. You can indulge in a wine tasting with bistro lunch, take an informative cellar tour, or enjoy a souvenir wine tasting experience. If you simply wish to purchase a bottle or three you can do that too. Pick up a bottle of their popular Chilton County Peach wine, a classic buttery oak flavoured Chardonnay, or their Founders Cut Bourbon Apple – a fabulous dessert wine to pair with rich chocolate cakes and puddings.